Guang Ling, Zhi-Hong Guan, Bin Hu, Qiang Lai, and Yonghong Wu. Multistability and bifurcation analysis of inhibitory coupled cyclic genetic regulatory networks with delays. IEEE Transactions on Nanobioscience, 2017, DOI:10.1109/TNB.2017.2669112. Ding-Xin He, Guang Ling, Zhi-Hong Guan, Bin Hu, Rui-Quan Liao. Multi-synchronization of coupled heterogeneous genetic oscillator networks via partial impulsive control. IEEE Transactions on Neural Networks and Learning Systems, 2016, DOI:10.1109/TNNLS.2016.2619907. Zhi-Wei Liu, Xinghuo Yu, Zhi-Hong Guan, Bin Hu, Chaojie Li. Pulse-Modulated Intermittent Control in Consensus of Multi-Agent Systems. IEEE on Systems, Man, and Cybernetics: Systems, 2016, DOI: 10.1109/TSMC.2016.2524063. Ming-Feng Ge, Zhi-Hong Guan, Bin Hu, Ding-Xin He, Rui-Quan Liao. Distributed controller-estimator for target tracking of networked robotic systems under sampled interaction. Automatica, 2016, 69:410-417. Zhi-Hong Guan, Guang-Song Han, Juan Li, Ding-Xin He, Gang Feng. Impulsive multiconsensus of second-order multiagent networks usings ampled position data. IEEE Transactions on Neural Networks and Learning Systems, 2015, 26(11): 2678-2687. Guang Ling, Zhi-Hong Guan, Rui-Quan Liao, Xin-Ming Cheng. Stability and bifurcation analysis of cyclic genetic regulatory networks with mixed time delays. SIAM Journal on Applied Dynamical Systems, 2015, 14(1): 202-220. Zhi-Hong Guan, Baoxian Wang, Li Ding. Modified tracking performance limitations of unstable linear SIMO feedback control systems. Automatica, 2014, 50(1): 262-267. Zhi-Hong Guan, Bin Hu, Ming Chi, Ding-Xin He, Xin-Ming Cheng. Guaranteed performance consensus in second-order multi-agent systems with hybrid impulsive control. Automatica, 2014, 50(9): 2415-2418. Zhi-Hong Guan, Chao-Yang Chen, Gang Feng, Tao Li. Optimal tracking performance limitation of networked control systems with limited bandwidth and additive colored white gaussian noise. IEEE Transactions on Circuits and Systems I: 2013, 60(1):189-198. Zhi-Hong Guan, Yonghong Wu, Gang Feng. Consensus analysis based on impulsive systems in multiagent networks. IEEE Trans on Circuits and Systems I, 2012, 59(1):170-178. Zhi-Hong Guan, Zhi-Wei Liu, Gang Feng , Ming Jian. Impulsive consensus algorithms for the second-order multi-agent networks with sampled information. Automatica, 2012, 48:1397–1404. Zhi-Wei Liu, Zhi-Hong Guan, Xuemin Shen, Gang Feng. Consensus of multi-agent networks with aperiodic sampled communication via impulsive algorithm using position-only measurements. IEEE Trans on Automatic Control, 2012, 57(10): 2639- 2643. Zhi-Hong Guan, Fenglan Sun, Yanwu Wang, Tao Li. Finite-time consensus for leader-following second-order multi-agent system via pinning control. IEEE Trans on Circuits and Systems I, 2012, 59(11): 2646-2654. Baoxian Wang, Zhi-Hong Guan, Fu-Shun Yuan. Optimal tracking and two-channel disturbance rejection under control energy constraint. Automatica, 2011(47): 733-738. Yan-Wu Wang, Jiang-Wen Xiao, Changyun Wen, Zhi-Hong Guan. Synchronization of continuous dynamical networks with discrete-time communications. IEEE Trans on Neural Networks. 2011, 22(12):1979-1986. Jian Huang, Zhi-Hong Guan, Takayuki Matsuno, Toshio Fukuda, Kosuke Sekiyama. Sliding-mode velocity control of mobile-wheeled inverted-pendulum systems. IEEE Trans on Robotics, 2010, 26(4): 750-758. Zhi-Hong Guan, Zhi-Wei Liu, Gang Feng, Yan-Wu Wang. Synchronization of complex dynamical networks with time-varying delays via impulsive distributed control. IEEE Trans on Circuits and Systems I, 2010. 57(8): 2182-2195. Jie Chen, Peilin Fu, Silviu-Iullan Niculescu, Zhi-Hong Guan. An eigenvalue perturbation approach to stability analysis, Part I: eigenvalue series of matrix operators. SIAM Journal on Control and Optimization, 2010, 48(8):5564-5582. Yan-Wu Wang, Hua O. Wang, Jian-Wen Xiao, Zhi-Hong Guan. Synchronization of complex dynamical networks under recoverable attacks. Automatica, 2010, 46(1): 197-203. Jing Yao, Zhi-Hong Guan, David J. Hill. Passivity-based control and synchronization of general complex dynamical networks. Automatica, 2009, 45(9):2107-2113. Yan-Wu Wang, Meng Yang, Hua O. Wang, Zhi-Hong Guan. Robust stabilization of complex switched networks with parametric uncertainties and delays via impulsive control. IEEE Trans on Circuits and Systems-I, 2009, 56(9): 2100-2108. Jing Yao, Hua O. Wang, Zhi-Hong Guan, Weisheng Xu. Passive stability and synchronization of complex spatio-temporal switching networks with time delays. Automatica, 2009, 45(7):1721-1728. 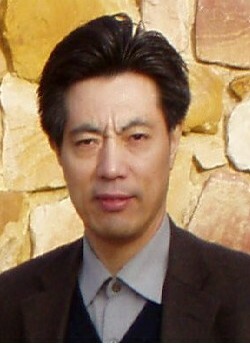 Hao Zhang, Zhi-Hong Guan, Feng Gang. Reliable dissipative control for stochastic impulsive systems. Automatica, 2008, 44:1004-1010. Wu-Hua Chen, Xiaomei Lu, Zhi-Hong Guan, Wei-Xing Zheng. Delay-dependent exponential stability of neural networks with variable delay: An LMI approach. IEEE Trans on Circuits and Systems, 2006, 53(9): 837-842. Wu-Hua Chen, Xiaomei Lu, Zhi-Hong Guan, Wei-Xing Zheng. Asymptotic stability in a neutral delay differential system with variable delays. SIAM Journal on Mathematical Analysis, 2006, 37(5): 1522-1534. Zhi-Hong Guan, Jing Yao, David J. Hill. Robust H infinity control of singular impulsive systems with uncertain perturbations. IEEE Trans on Circuits and Systems, 2005, 52(6):293-298. Zhi-Hong Guan, David J. Hill, Xuemin Shen. On hybrid impulsive and switching systems and application to nonlinear control. IEEE Trans on Automatic Control, 2005, 50(7):1058-1062. Wu-Hua Chen, Zhi-Hong Guan, Xiaomei Lu. Delay-dependent output feedback guaranteed cost control for uncertain time-delay systems, Automatica, 2004, 40(7): 1263-1268. Jian-Xin Xu, Rui Yan, Zhi-Hong Guan. Direct learning control design for a class of linear time-varying switched systems. IEEE Trans on Circuits and Systems I, 2003, 50(8):1116-1120. Wu-Hua Chen, Jian-Xin Xu, Zhi-Hong Guan. Guaranteed cost control for uncertain Markovian jump systems with mode-dependent time-delays. IEEE Trans on Automatic Control, 2003, 48(12):2270-2277. Zhi-Hong Guan, Guanrong Chen, Xinghuo Yu, Yi Qin. Robust decentralized stabilization for a class of large-scale time-delay uncertain impulsive dynamical systems. Automatica, 2002, 38(11):2075-2084. Zhi-Hong Guan, CW Chan, Andrew YT Leung, Guanrong Chen. Robust stabilization of singular impulsive delayed systems with nonlinear perturbations. IEEE Trans on Circuit and Systems I, 2001, 48(8):1011-1019. Zhi-Hong Guan, Guanrong Chen, Yi Qin. On equilibria, stability and instability of Hopfield neural networks. IEEE Trans on Neural Networks, 2000, 11(2):534-540. Zhi-Hong Guan, Guanrong Chen, T Ueta. On impulsive control of a periodically forced chaotic pendulum system. IEEE Trans on Automatic Control, 2000, 45(9):1724-1727. Zhi-Hong Guan, Yongqing Liu, Xiangcai Wen. Decentralized stabilization of singular and time- delay large scale control systems with impulsive solutions. IEEE Trans on Automatic and Control, 1995, 40(8):1437-1441. 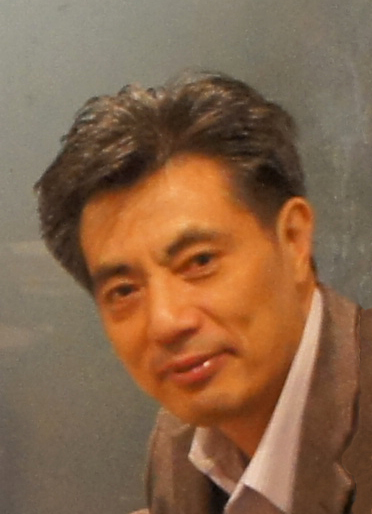 Yongqing Liu, Zhi-Hong Guan, Xiangcai Wen. The application of auxiliary simultaneous equations to problem in the stabilization of singular and impulsive large scale measure systems. IEEE Trans on Circuits and Systems, 1995, 42(1):46-51.